UPDATE (March 24, 2017): Just heard that the site mentioned below isn’t active so please don’t click on it. Instead, you can stream Sonata on HOOQ. You can watch our film there. Thank you! So, our film Sonata can now be enjoyed on your computer! 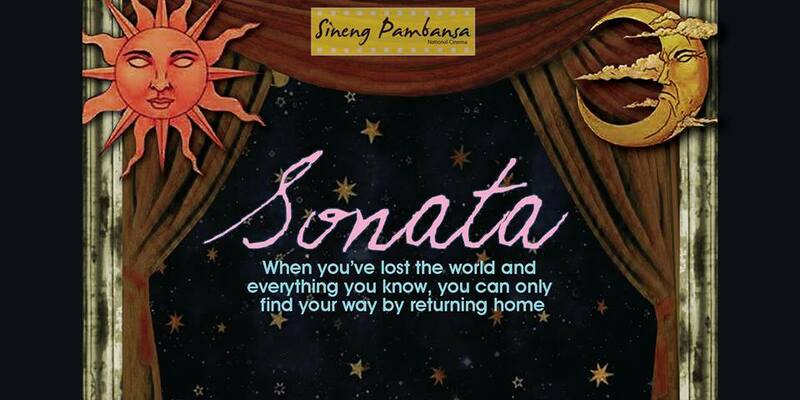 Watch Sonata online at TNT or Tara Nood Tayo. Register with TNT and for an affordable fee, you can watch a selection of Filipino independent films from your computer. The selection is growing, and Sonata is now available through this service. The excellent film Jay is also part of their selection, as are the highly acclaimed films Endo and Nino (which I haven’t seen but heard quite a good deal about). It’s quite difficult finding copies of a lot of the Filipino independent films and it is great that this service is now available, especially to so many people who aren’t in Manila and would like to see some of films made by Filipinos. It would mean everything to me if you would watch Sonata, even if it is just on your computer. I have a strange feeling it would be my last film that I’d be writing for a long while and I’m still so very proud of it. Thanks for the interest. I really, really appreciate it. I’ll try to find out what I can. Thank you so much! I’ll include it on my list. Done watching Endo. I will include it on my list. i have just subscribed to taranoodtayo but the movie does not play at all! is this a scam? It doesn’t play? I’m so sorry to hear that. I’ll try and contact the site administrators and find out what’s wrong. Thank you for telling me! I’ll try to find out what happened. Hello! Is the TNT website still up? I tried registering but I haven’t received an authentication email yet. If not, is there any other platform where I can watch Sonata? Thank you! I didn’t the TNT isn’t active anymore. That’s sad news.